A Complete Insurance Agency, Inc. - Colorado Motorcycle Insurance Quotes. Buy and compare Motorcycle insurance from us and save money today. Motorcycle Insurance for Everyone in Colorado! Looking for motorcycle insurance? Click the following link to submit a quote for quick, accurate and affordable rates for motorcycle insurance. Find out what discounts your insurance representative offers. Multibike discounts for those insuring more than one bike, organization discounts, if you're a member of a motorcycle association, and mature rider discounts for experienced riders, are just a few possibilities. Discounts can range anywhere from 10 to 20 percent, depending on the company and your state. Availability and qualifications for discounts vary from company to company and state to state. Let - A Complete Insurance Agency, Inc. help you improve your coverage and save you money. Call or request an online free, no hassle Motorcycle insurance quote, today. A Complete Insurance Agency, Inc. servicing areas include, Denver, CO, Aurora, CO, Arvada, CO, Englewood, CO, Lakewood, CO, Littleton, CO, Golden, CO,Wheat Ridge, CO, Highlands Ranch, CO, Evergreen, CO, Morrison, CO, Westminster, CO, Broomfield, CO, Northglenn, CO, Brighton, CO, Commerce City, CO, Centennial, CO, Greenwood Village, CO, Boulder, CO, Castle Rock, CO, Parker, CO, as well as the entire State of Colorado. 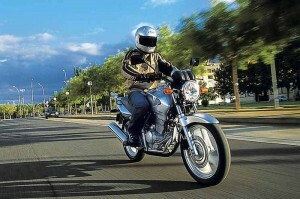 Colorado Motorcycle Insurance Information, Additional Resources.